When we think about luxury homes and subdivisions in Charlotte, we think of large homes perhaps over 8,000 square feet, a high price tag, gated communities, country clubs, pools, golf courses, 6 bedrooms, 6 baths, acres of land and even perhaps a run way for those who want a fly in community such as Aero Plantation in Weddington. 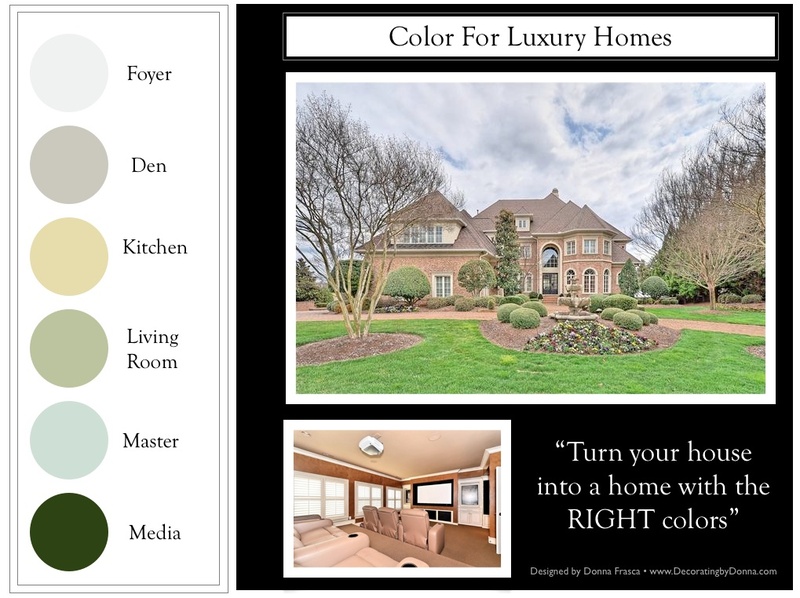 Luxury homes in Charlotte are very typical of this home that I have shown in this graphic. If you’re investing in luxury real estate in Charlotte, take it one step further and invest in hiring a Professional who specializes in just color, to help you with the color palette for your entire home. I’ve been choosing color for these McMansions exclusively in South Charlotte since 2007 and love it! Where homeowners greet me with a nervous hand shake, I assure them that this is what I specialize in and that they are in good hands. As the color consultation unfolds, I can see the sigh of relief in their eyes as a Designer color palette transforms before their eyes. 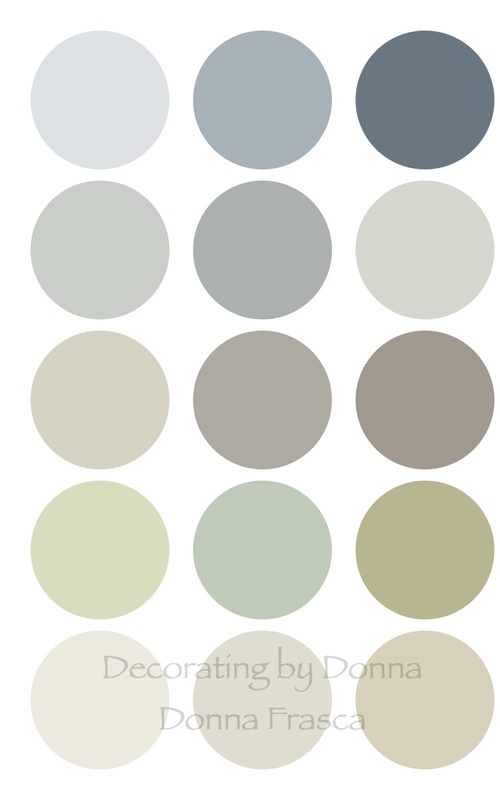 Choosing color for large homes is more than just picking the top ten best colors from Benjamin Moore. I study the lighting, the decor and most importantly, listen to what the clients wants for their home. The colors have to be related, share the same undertone and transition well from each open space in your home – otherwise your home will looked the the dreaded quilt. So if you are looking for a large home in the Charlotte area and are worried about choosing color for your home, search no more. This is what I specialize in and have been designing for these home for years. There is one huge tip that I’d like to offer you. If you need color for your home, hire a Color Expert such as myself. If you need drapery, help with your furniture choices, area rugs or backsplash design etc., hire an Interior Decorator but don’t hire an Interior Decorator to do both.There is a huge difference. If you’d like to set up an appointment for a color consultation, please email me at DecoratingbyDonna@mac.com or leave a message on my land-line at 704-243-6764. I’d love to talk to you about the best color choices for your home. This entry was posted in 28173, Charlotte, Color, Color Specialist in Charlotte, Color Tips, Design, Interior Design, Luxury Homes, Open Floor Plan, Open Floor Plans, Paint Color, Paint colors, South Charlotte, Waxhaw and tagged aero plantation, best colors, Charlotte, color consultations, color expert, design, large homes, luxury, luxury homes, luxury realestate, million dollar homes charlotte, realestate. Bookmark the permalink.